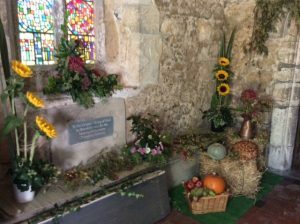 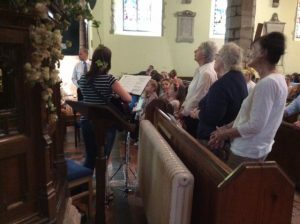 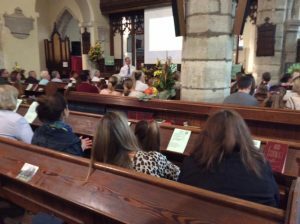 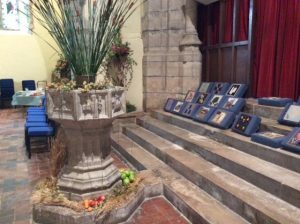 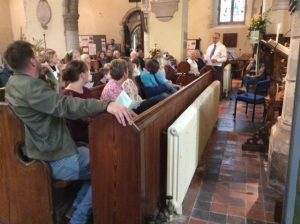 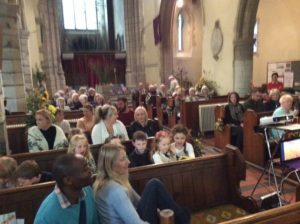 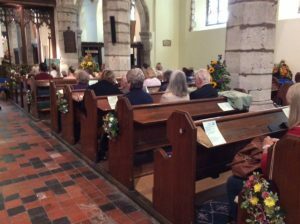 Shorne Primary School’s year 2 class took a large part in preparing this Year’s harvest service and they took part in the service. 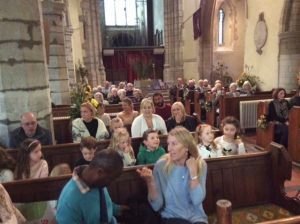 The Head teacher Caroline Conroy and year two’s teacher Mrs Doerr are shown in one of the photos below. 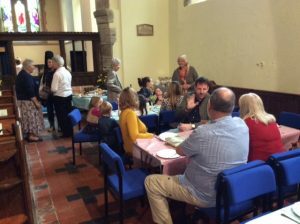 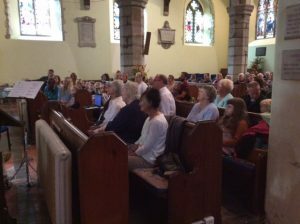 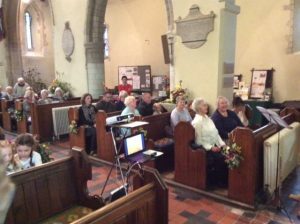 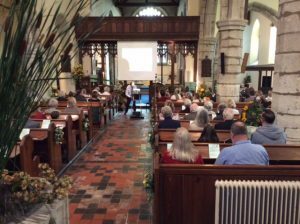 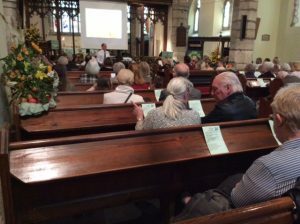 The congregation heard a talk by Manny & Cheryl Mvula about the High Five Club which they run to help impoverished communities in wildlife areas in Africa. 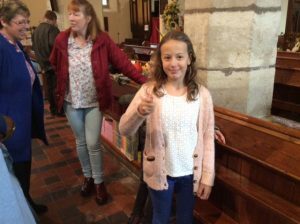 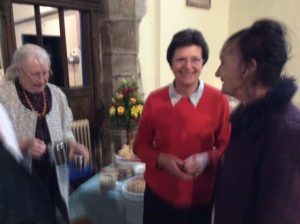 After the service, which was led by our lay reader Dennis Usher, the annual conker championship was held (see the champion below!) 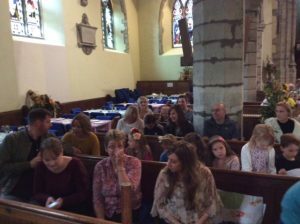 and that was followed by lunch in the church. 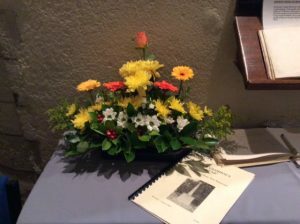 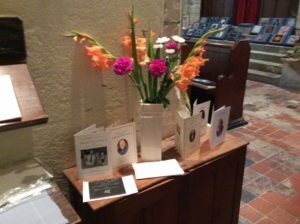 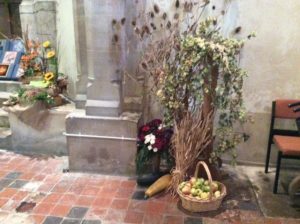 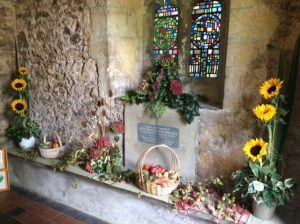 The church had been beautifully decorated by Shorne’s flower arrangers and you can see some of their displays below.